Earlier this year, we were approached by Liz, a Director of one of the UK's leading staging and event's management companies, after being informed of our reputation to invest time and resource to understand the companies and the assets we fund. As a result, we were asked to raise finance on staging, but this was no ordinary staging - these were world leading structures sought after by the top production companies. In a shock announcement, the Bank of England has raised interest rates for the first time in more than 10 years, and it is expected to rise twice more over the next three years. As uncertainty around Brexit grows, we are committed to supporting SMEs and will continue to provide dedicated finance solutions to encourage growth in the small business community. In their second awards shortlisting in just 6 months, the Davenham Asset Finance team have been shortlisted at the Northern Powerhouse Northern Lights Awards 2017, further showcasing their contribution to the enhancement of Northwest economy. 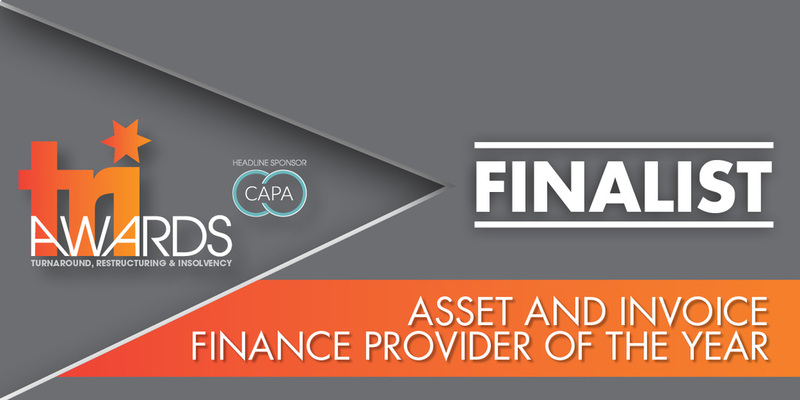 We have been shortlisted at the specialist 2016 Turnaround, Restructuring and Insolvency (TRI) Awards, something we're incredibly proud of given our vast experience and knowledge as asset finance experts in Turnaround situations thus assisting struggling SMEs. Manchester based Davenham Asset Finance is expanding their national reach with further recruitment in their Business Development team, by recently appointing Jonathan (Jonty) Cooke to a team headed up by Paul Lovelock. Davenham is continuing to develop our Midlands presence, being featured in the latest edition of the Birmingham Business Post. We have recently appointed our newest Business Development team member - Jackie Mitchell. The Sunday Telegraph has continued building its relationship with Davenham Asset Finance, after asking for a second feature to be included in their most recent edition on Sunday 21st June. Sunday June 14th saw our own Emma Marsh (possibly the only fit person in the office) run the Liverpool Rock n Roll marathon alongside 12,000 runners, to raise money for her chosen charity, Mummy's Star. Central Manchester based Davenham Asset Finance and Davenham Trade Finance are pressing ahead with major growth plans by appointing Richard Bamford as Non-Executive Chairman to both businesses. This is hot on the heels of the recent appointment of two new Business Development Managers to open up opportunities for a national sales team. DAVENHAM SHORTLISTED FOR TWO AWARDS! We were extremely proud to be shortlisted in not one, but two categories at the prestigious Credit Today Awards 2015, and although we didn't win this time, we feel that it confirmed that what we set out to achieve when we launched in 2013 – to fulfil the gap in the market for a partnership approach to providing finance – has been recognised. Manchester-based Davenham Asset Finance Ltd (Davenham) is undergoing significant growth within just a year of its launch, instigating the promotion of Paul Lovelock from Business Development Manager to Head of Sales, and opening up opportunities for a national sales team with the appointments of Business Development Managers Rebekah Middleton and Stuart Berry. Only six months after we started to lend, Davenham has hit its first milestone, following our return to the Asset Finance market, as the portfolio tops the one million pound mark! We were contacted recently by the Daily Telegraph asking us to provide a comment about funding for SMEs. Although we only launched the asset lending division in June we are delighted that our reputation in the market place has reached a point where our expertise is sought from such a well respected newspaper title. Seven months after their successful management buy-out of the Davenham loan book, the Manchester-based team led by Paul Burke and Heather Robinson, is returning to the lending market by launching a new company, Davenham Asset Finance. The new asset-based finance company will serve the needs of SMEs in the North of England enabling them to finance new or used assets or to refinance existing ones.